It’s not too late to set goals for 2019! Even though we are in the midst of winter and it seems an awfully long way to go to spring, this is such a great time for resetting our lives. For me a new year represents expanding daylight, the opportunity to begin again, to do things differently, learning from the past to make my present and future even healthier, to fine-tune all that needs to change so life is even better than before. I don’t really go for New Year’s resolutions as such, I go for the long term. The wave of positive energy at this time of year can give you real clarity if you pay attention. 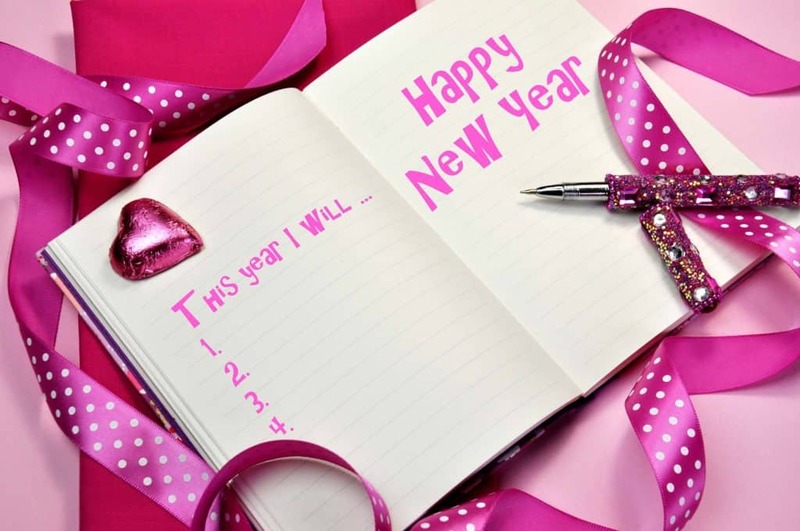 Many people start to think about New Years resolutions so this positive energy is in the air. Use this wave of energy to give you a clear path for planning your next year of adventure through life. Your mindset is a good place to start… dreaming your life into the positive, not hanging onto the negative. Create your dreams on a vision board (see how, below) This becomes a daily reminder of the essence of what you want out of life. Take a look at your beliefs and behaviours… What is holding you back? Is it something from your past that needs clearing, or something in your present that is causing a disturbance? If you contact me via my website (https://janeyseaman.com) will send you a complementary worksheet for you to work through or you can book an appointment with me to help you discover what is hindering you from succeeding in your life, relationships or business. Use positive affirmations to change how you feel Positive affirmations are a way of creating a new pattern in the conscious mind that will form into a new pattern in the subconscious. They also create the right energy to align with your dreams. Consistency is the key here: say your affirmation out loud (softly) for at least 10 minutes (yes, 10 minutes!) a couple of times a day. I do it when I am out for a walk or when I wake up in the morning and before going to bed. Be realistic and set yourself up to succeed I work on a three-month business and life cycle* – this way you can achieve more without being overwhelmed or constantly thinking too much into the future, yet everything you do within this timeframe is towards your bigger picture, step by step. However, also get the bigger picture in place: what kind of a life do you want to live? How do you want to feel every day? Where do you want to be in two years, five years and 10 years’ time? What kind of work do you want to be doing? Where will your business be? How is your health and where would you like to live? What kind of people do you want to surround yourself with… I could go on. Get some help to clear the patterns of your past that are hindering your future. Polarity therapy sessions are fantastic for clearing these unhelpful patterns. Engage a business and life coach to help you achieve a business and life that you want. If you are feeling stuck, lacking motivation, confidence or simply don’t know where to start I offer a complementary discovery call to see if I am the right coach for you. Get hold of lots of different types of magazines. Buy an A3 board, one that will allow you to stick things onto it. Get yourself some glue and a pair of scissors. Make sure you are undisturbed for at least an hour and take a couple of deep breaths in and release out. At the top of your board, write your word for the year. Now start dreaming of your life and sift through the magazines. Cut out any pictures or words that resonate with you, that you really like or that jump out of you. As you find the pictures stick them on your board – it may not make sense as you do it, but just let it flow. Be creative, there is no pattern to this, just stay in the moment. When you have finished take a look at what you have created – you might just be surprised! * Three-month business/life cycle I can help with your life and business planning, not only for the short term but also for your longer-term plans. I enable you to get clear on your path, clear the clutter from your past, become healthy and format a new future. I have a simple yet effective formula that works!